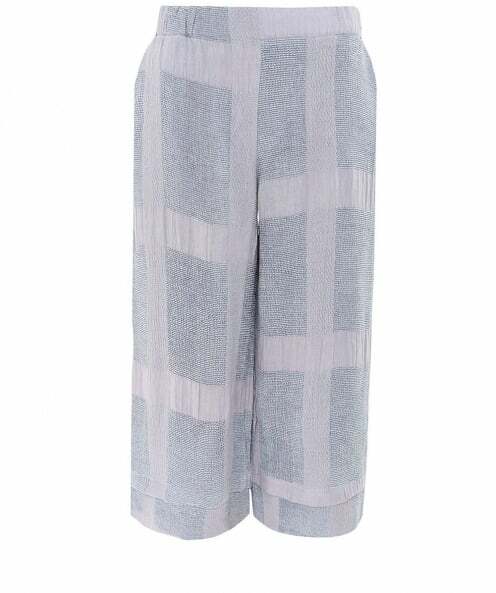 Introduce a relaxed style into your casual wardrobe with the Thanny cropped check trousers. Crafted in Italy with premium cotton, the trousers feature an elasticated waistband, two side pockets, textured oversized checked pattern, two side slits and a layered panel to hem. Wear your Thanny trousers with white trainers and a plain tee for an effortless outfit.